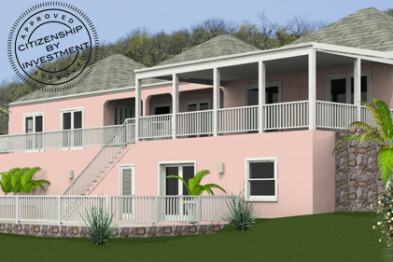 Hideaway House is a stunning new development of four 1-bedroom residences and offers considerable investor benefits. The main house contains an Upper Floor apartment and a Lower Floor apartment. The Cottage stands in the gardens above the communal swimming pool and The Loft is above the garage. 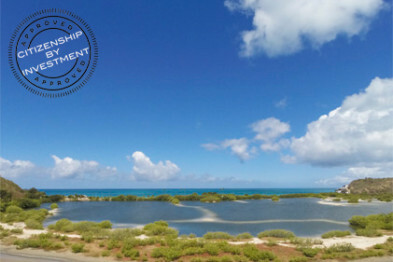 Hideaway House offers a unique investment opportunity with a guaranteed income over 5 years and a buy back option at the end of that period. 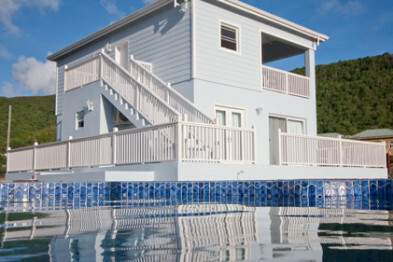 A substantial 4-bedroom villa with accommodation over 2 floors. The internal rooms are spacious and well proportioned and there is a large external living area on the upper floor. There is a separate day room with its own kitchen and living area on the lower level leading out to the pool deck. There are delightful views across the Caribbean and impressive vistas of the surrounding mountains. Planter’s is designed to be built on Plot 1 at The Palms. Planters Place is four luxurious 1-bedroom apartments, enjoying spectacular views over Darkwood Beach and the Caribbean Sea and sharing a fully landscaped tropical garden of 1/2 acre with large swimming pool and sun deck area. Spacious living areas of 700 square feet including covered verandah. 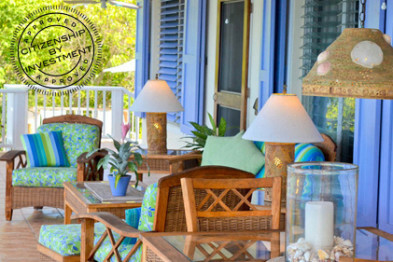 Minutes from Jolly Harbour, bars, restaurants, shops and other beaches. 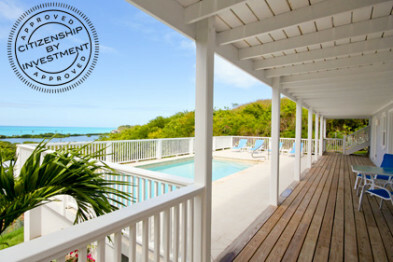 Papaya House is a contemporary designed villa with accommodation over two floors. The main house has 3 principal bedrooms with en-suite bathrooms, a spacious internal living area, a large covered external living area and a wide veranda. The lower floor has a guest suite with additional bedroom, bathroom and living area opening to an impressive sun deck and swimming pool. There are delightful views across the Caribbean. Papaya House is being built on Plot Two at The Palms. An upper floor apartment with spacious veranda and views of the sea and pool area. There are 2 bedrooms and 2 bathrooms, a large living space with a well-equipped and fully-fitted kitchen, a dining area and a comfortable seating area. 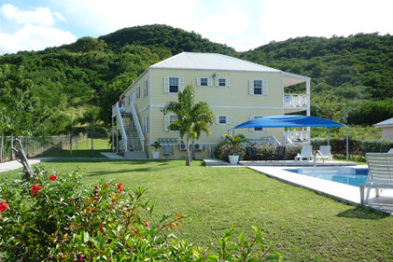 Conveniently located for the beach and the facilities of Jolly Harbour. Hamilton House recently featured on the Channel 4 TV programme A Place In The Sun. Tucked away in a peaceful lane, this delightful hillside 3-bedroom villa enjoys magnificent panoramic views over the Caribbean, Runaway Bay and St John’s and is located in a quiet, up-scale residential area, conveniently situated for town, the beach, Cedar Valley Golf Club and the many first-rate amenities of the Dickenson Bay area. The villa also benefits from a plunge pool on the veranda, gated private drive with covered parking and a back-up generator. A completely equipped and ready to move into family home.